I will do a new thing that the eyes have not seen, ears have not heard neither has it come to the mind of any man or woman what God is about to do in Ondo Kingdom and for the Ondo people. If you do what you have always done, you will get only the result that you have always got. To get a different and radically result, you must do something radically different. You must break the mould and think outside the box. Wise people don’t work harder all the hours of the day and night but they simply work smarter. 2010 is a season of doing new things in a new way. With this thought in mind, I salute all Ondo Kingdom Sons and Daughters for the recently successful and glorious Ekimogun Day in UK & NI. It was a very beautiful day to remember for a long time to come. Our gratitude goes to all the executive and organising body that worked tirelessly to achieve such wonderful success. Our gratitude goes also to High Chief Bayo Akinnola, the Lisa of Ondo Kingdom -“ojo gbogbo bi odun” for gracing the occasion and his wise counsel to us. 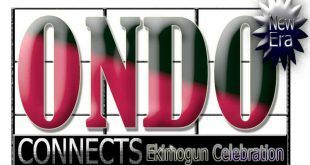 Ekimogun Descendant UK & NI belongs to all Ondo Sons and Daughters in the UK & NI. If your parents or grandparents or yourselves were born in Ondo or married to an Ondo Descendant, you are automatically a member of Ekimogun Descendant UK & NI. You do not need to belong to any special club to be a member , it is inclusive of all Sons and Daughters of the blessed and prosperous Ondo Kingdom. I took some notes when High Chief Bayo Akinnola, our Royal representative gave his wonderful speech and gave us some wise counsel to start Ekimogun Descendant One Pound Club on the internet and make it open to all Ondo Sons, Daughters, friends and well wishers in the United Kingdom and Northern Ireland or Worldwide to contribute into. If 1,000,000 people contribute one pound or more monthly, Ondo Ekimogun Kingdom will be transformed beyond recognition. Ondo Kingdom has suffered enough setbacks, it is a new dawn. God is going to catapult us to the highest realms from now on. We are going to start soaring and towering like the eagle from now on. 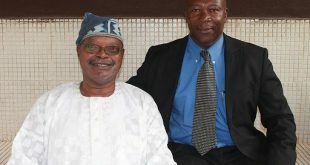 The physical environment of Ondo Kingdom will match the reputation and status of Ondo people worldwide. You cannot put new wine in an old wine skin, it will burst and ruin it, you will lose both. New wine must be put in new wine skin. There must be a change in the way we unite to bring progress to Ondo. 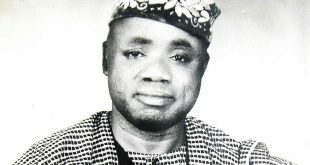 In High Chief Bayo Akinnola’s article in the Ekinmogun Day brochure titled “Ondo Kingdom, why we are, where we are” , he noted that Ondo people have independent views and that sadly it is almost impossible to find the Ondos agree to take same and single position on any issue. It is a New Dawn; this stance must change immediately if we are to make any progress. I believe that God has begun a new thing, we must embrace a new way of thinking and co-operating and loving for all and not continue the old selfish self seeking ambitions for individual. 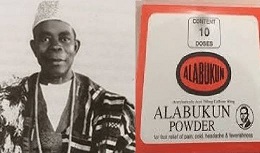 I also noted that High Chief Bayo Akinnola expressed within the body of his article that for me (meaning the High Chief) one of the most important things now is to continue to preach to the Ondos the importance of the old adage, which says that there is a lot of strength in unity. Fellow Ondo Sons and Daughters, it is with this new way of working together that we will be able to move Ondo forward (it needs fast forwarding). We hereby invite all Ondo Sons and Daughters, our friends and well wishers to join the Ekimogun Descendant One Pound Club and contribute one pound or more every month depending on how generous you are. The life of the generous or cheerful giver get larger and larger, it expands daily simply for operating God’s Principle of abundance. The more you give away, the more you allow God to daily load you with His benefits. If you don’t know this principle, try it as it never fails to increase, you give away. His Words are forever settled in Heaven. You obey them, they work for you. My personal message is that nothing happens by accident, there are no coincidences anywhere. It is always God incidence if you have a discerning heart and mind. However you arrived in this Country, God brought you here for a purpose His Purpose. Joseph arrived Egypt as a slave but his God purpose was to preserve and safe lives in a worldwide famine similar to what we have in the last couple of years. In this our own dispensation, God brought you here to break the setbacks and negativity on Ondo’s progress. It was not a mistake that he created you as an Ondo person rather than create you as a Lagosian.This is our time to manifest the power and rule of God and fulfil God’s purpose for our lives to raise the standard of Ondo Ekimogun physical environment. We can prove to the world and ourselves that with God all things are possible, Ondo Kingdom can be developed to be like Abuja. Join the Ekimogun Descendant One Pound Club today and transform Ondo Kingdom to beyond recognition status. Ondo Kingdom is inside the Kingdom of God, putting God first in all that we do from now on and will make God catapult Ondo Ekimogun and Ondo people to a place that only God can take us to in the high places. Shalom, Yemi Adesan (Nee Ruphina Ojo) -Editor in Chief, Wisdom Magazine.